There have been a few media stories placed by those interested in selling the plan to bury the UK’s nuclear waste in Cumbria, which have suggested that the scheme would create a vast number of jobs and bring economic wealth to West Cumbria. Cumbria Trust has analysed the plans and compared them with international experience of building a repository to identify the types and likely number of jobs that would be created. 2014-2016 Jobs will be created for a small number of geoscientists, particularly geologists from the British Geological Survey. This may be the same set of geologists who changed the exclusion criteria between July and October 2010 which brought the (previously ruled-out) Solway Plain back into consideration. 2016-2026 Jobs will be created for geophysicists, geochemists, hydrologists, hydrogeologists, and geophysical contractors who will conduct the seismic surveys as the on-site investigation begins. There will also be specialist borehole drilling work. On the downside, the future for this area will now be visible to anyone visiting. Depending on the site, the tourism industry is likely to contract as some of the people who visited Cumbria for its beauty and tranquillity may choose an alternative destination. Cumbrian and Lake District branded products are likely to begin to suffer at this stage. The property market would be affected by blight, and business ﬁnance restricted during this extended period of uncertainty. 2026-2046 Jobs will be created for the large scale tunnelling operations as construction begins. Those currently working on projects such as Crossrail under London are likely to be redeployed to the area. There will also be jobs for heavy plant drivers to move the excavation spoil, security staff and construction workers for the above ground facilities. Tourism is likely to be severely affected at this stage as the scale of the works takes over a significant area. Roads will be widened and straightened to allow access. The impact would depend upon the site chosen for construction. If this went ahead in the softer rocks of the Solway Plain, this would become a large scale mineworking operation, similar to those found in Zambia and South Africa. If a hard rock site such as Ennerdale was chosen, around 18 million tonnes of granite would be extracted and transported away for sale as aggregate. That would take one 8 wheel tipper truck leaving and one arriving, every four minutes during working hours for around 30 years. 2046- The long term employment from the repository is likely to be in the region of 200 workers by comparison with equivalent operations abroad, i.e. 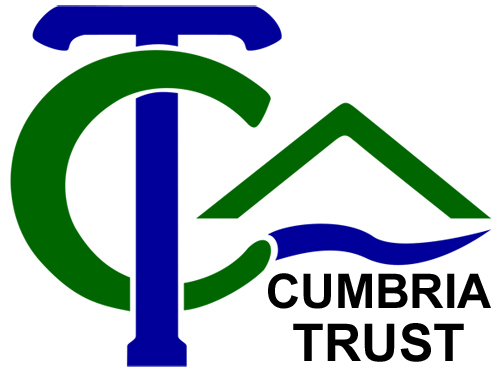 those who are not trying to sell the scheme to Cumbrians. This is similar to a large supermarket. If the site selected was one which depends on tourism such as the National Park or the Solway Plain where the blight would be felt most strongly, it is clear that some of the current 57,000 jobs in tourism would be at risk. The job losses from even a 1% reduction in tourism would outweigh the jobs created by operating a repository, but the likely reduction in tourism is far greater. Jobs in the food industry and others which depend on Lake District and Cumbrian branding would also be affected. Constructing a geological disposal facility in an area which depends so heavily on tourism and branding will result in major job losses for Cumbria, and clearly makes no economic sense. By contrast, constructing Secure Interim Storage at Sellafield, which is urgently required to deal with the ‘intolerable risk’ recently described by the Public Accounts Committee, would have a significant positive effect on employment at Sellafield. If correctly managed, it would also have none of the negative effects associated with permanent geological disposal. This approach has been recommended by the government’s own committee, CoRWM, and is clearly in the best interest of all Cumbrians.